First, I created a background for the bunny by die-cutting a large egg and inking a few clouds and grass with Distress Inks. For a little extra interest, I adhered the egg to a piece of white cardstock slightly overlapping the edge and then die-cut using a stitched rectangle die. 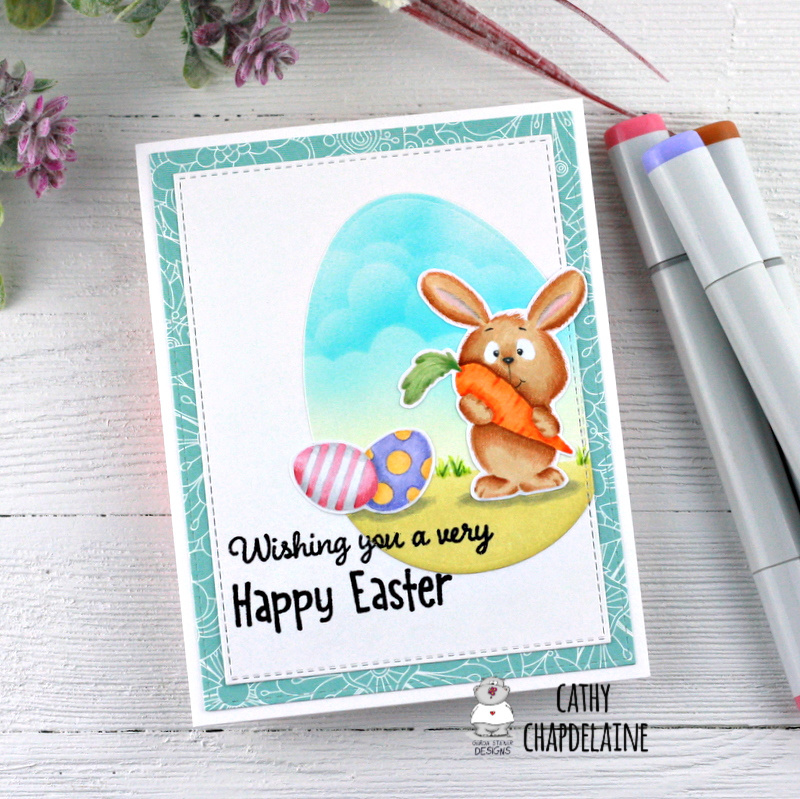 I stamped and masked 2 eggs and the bunny from the stamp set in a light gray ink and colored them with Copics. Since I used the no-line coloring technique, I was able to easily cover the crack line in one of the eggs by coloring stripes over it. I fussy cut around the images, but there are coordinating dies to this set available as well. To finish, I stamped the sentiment from the set in Versamark ink, heat embossed with black embossing powder and added some grass and shadows to the scene with Copics. Hope you have a great weekend and see you again soon!